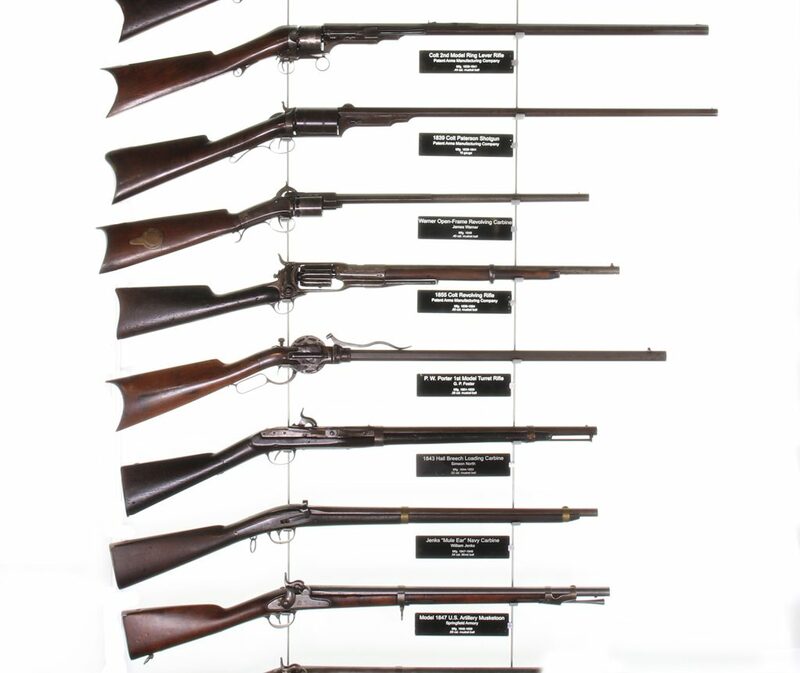 The Hall of U.S. Arms contains many prototype firearms and some of the earliest designs in U.S. weaponry. Consisting of pistols, rifles, and a number of martially marked canons. It features one of the largest Gatling gun collections found in North America. A timeline of U.S. uniforms is also on display showing the progression from the wool uniform of our nation’s first military members to current camouflage patterns and modern materials worn by troops of today. 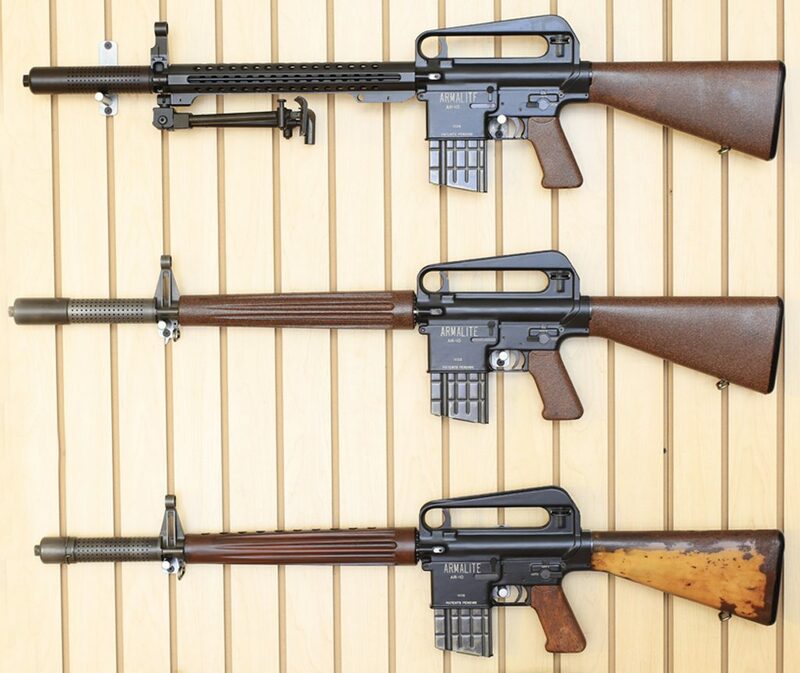 The Hall of Modern Arms features firearms from Armalite, Cadillac Gage, Colt, and many others. The hall focuses on designers and manufacturers from around the world, to create a one of a kind collection. A Memorial Gallery is located in this hall, dedicated to Mr. Eugene Stoner. It displays his drafting desk, original hand drawn AR-10 design, the M8 prototype, his prototype “garage guns” as well as several #1 serial numbers from their production runs. The firearms and designs in the Stoner room have been preserved to honor his ground breaking work and legacy in small arms design. The Hall of Armor houses vehicles and armor from WWI, WWII, Korea, Vietnam, and the Iraq era. The Hall has light, medium, and main battle tanks. 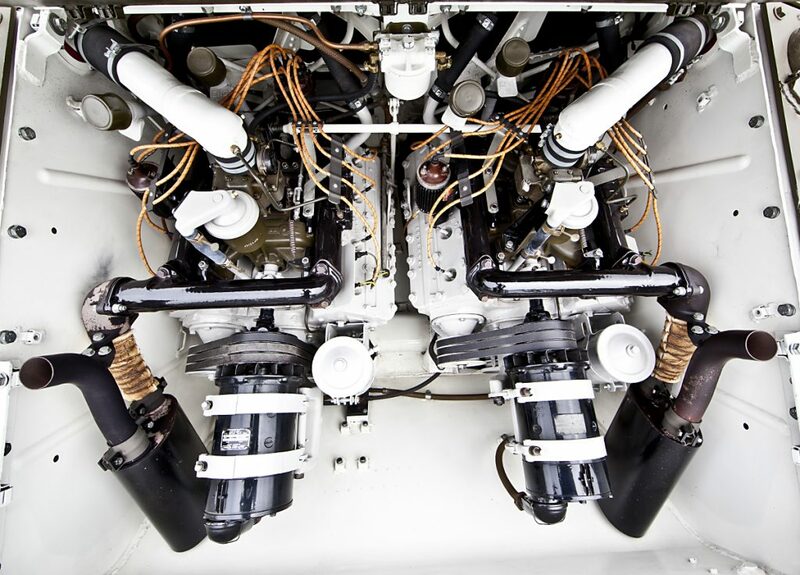 Many of these tanks have been restored to factory specs – ground up restorations, done by IMT’s Tankshop.